Class 1G have been looking at the characters contained in the Peter and the Wolf story as part of our continued music learning. We have set the pupils the task of choosing an instrument that makes them think of some of the main characters in the famous story. We started off our work by watching a short clip from the Peter and the Wolf film. We found that the main characters behave very differently. Music is used in the film to let the audience understand a little more about the characters. Peter is associated with the strings; the flute plays whenever the birds appear. 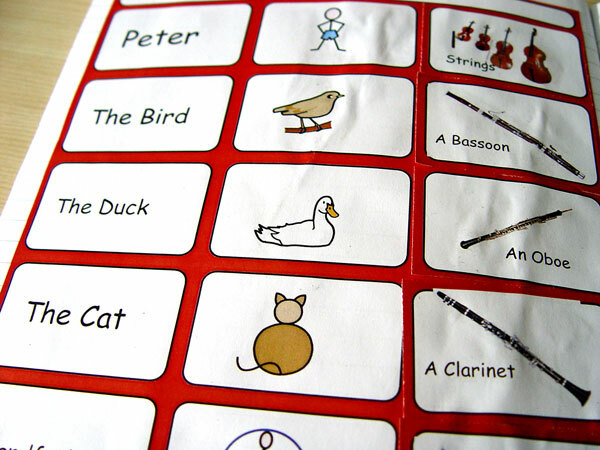 The oboe is used for the ducks whilst the grandfather is associated with the bassoon. This work will lead to the Class 1G students creating their own stories using instruments as the springboard for ideas. The pupils will also looking at poetry and how music can help to put across a certain mood.